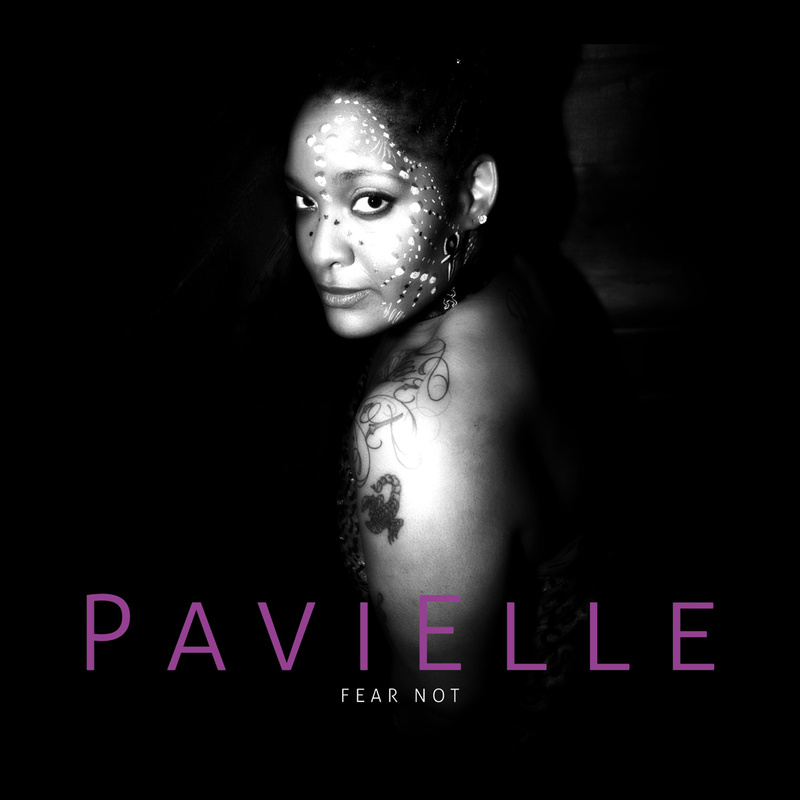 Fear Not, presents the captivating work of innovative, potent and dynamic neo-soul singer PaviElle French, and represents her much anticipated return to performing after a five year hiatus. I don’t really have a songwriting process. A melody or a bass line usually comes to me out of nowhere and then I just go from there. I create the: Bass line, beat, lyrics, chords. In that order. I have several major influences but only three come to mind: Chaka Khan, Ella Fitzgerald, Parliament/Funkadelic. How has the success of the band and the recent play affected you? The success of the band and my one-woman show has affected me in a huge way. I am overwhelmed…with joy, and also with sadness because I wish I could share this with the people that raised me. But, overall I am motivated to continue pushing and, I am highly inspired to create more art. What’s coming up next? Not quite sure. I have a lot of ideas, one being that I plan to remount the show, “Runnin’.” I feel that more people need to see art that provokes them to think as if there were no box. And, I would like to write and produce another album…maybe for a 2016 release. I work with kids and, would like to see my junior class graduated next year so, I would like to keep playing venues and creating a following until I feel its time to get up out of here in the next year or so. Prhyme, J. Cole and, Kandace Springs. (and of course all things old school). PaviElle will be playing @ Icehouse on Saturday, February 21st @ 11pm. Recorded by Alex Proctor @ Icehouse. Minneapolis, MN. Mixed and Mastered by Adam Krinsky & Graham O’Brien @ Bellows. St. Paul, MN.